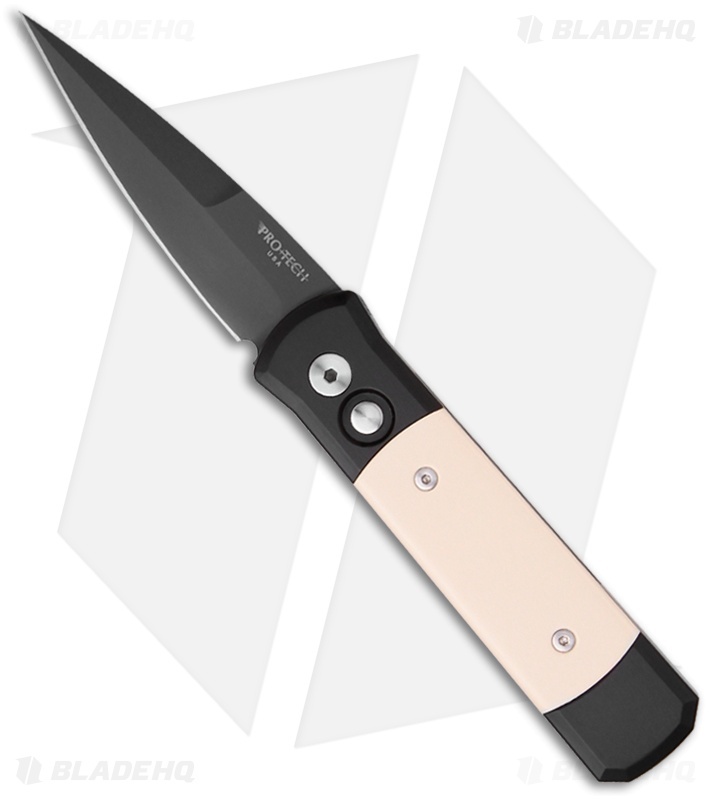 Most people are familiar w/ Pro-Tech's Godfather knife- big, beautiful and powerful. The Godson is a smaller version of the Godfather. It sports a beautiful DLC black coated 154-CM blade (plain) and a black anodized T-6 6061 body w/ imitation ivory (polished Micarta) scales. 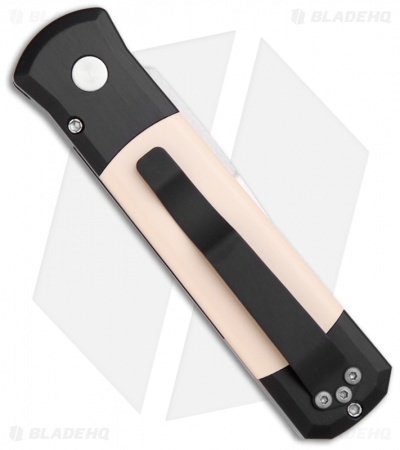 TiNi pocket clip for easy carry. A Pro-Tech classic!